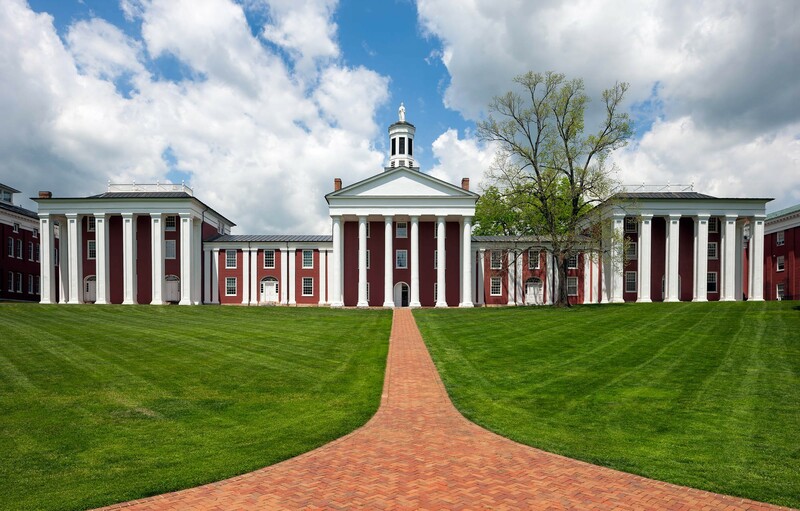 PAYNE HALL (c. 1831), Washington Hall (c. 1824), and Robinson Hall (c. 1841) now known as Chavis Hall, are National Historic Landmarks and are at the center of the W&L National Register Historic District. 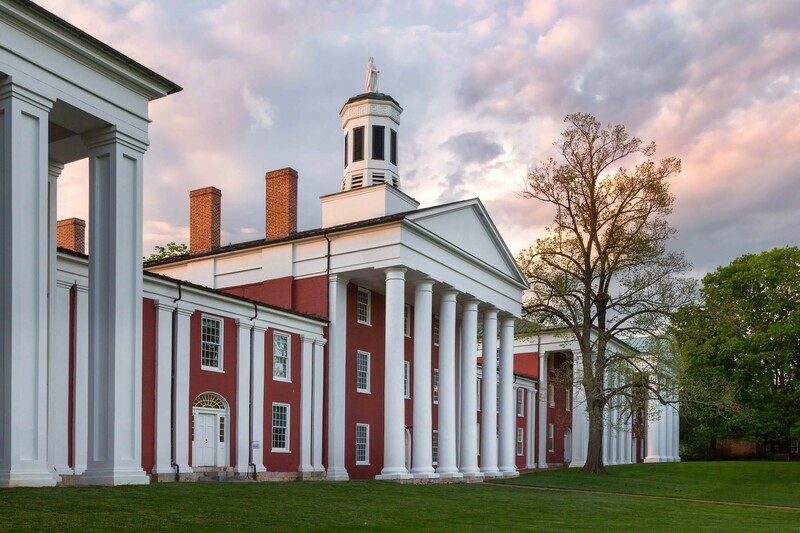 They are the most historically significant buildings on campus. 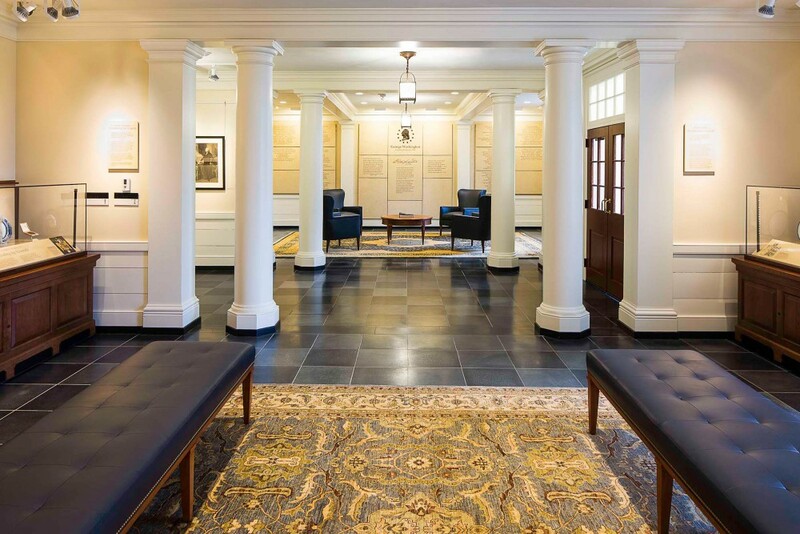 G&HA was commissioned to lead the design for a complete rehabilitation of all three buildings. 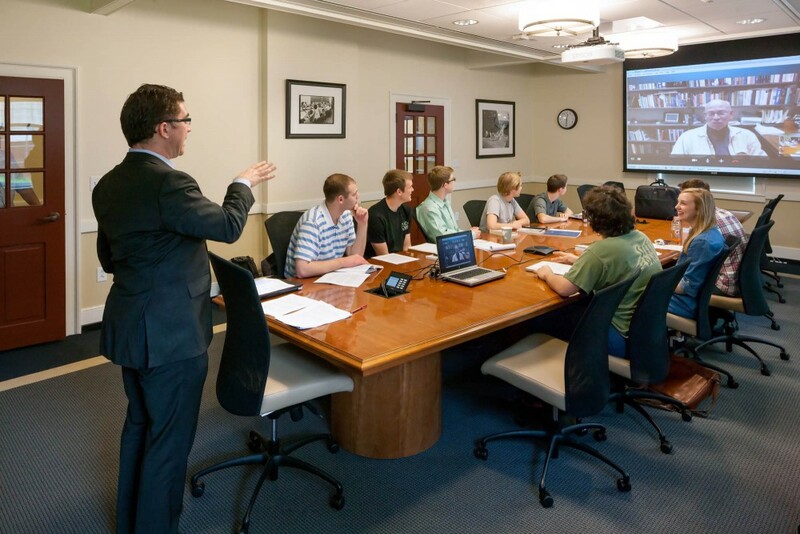 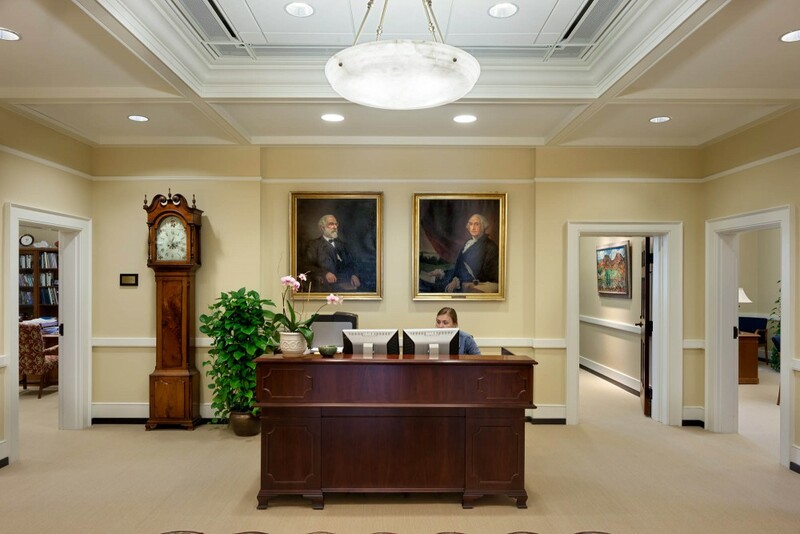 G&HA worked with the University to optimize use of space for faculty offices, work rooms, classroom space, and administrative offices, including the office of the President and executive staff. 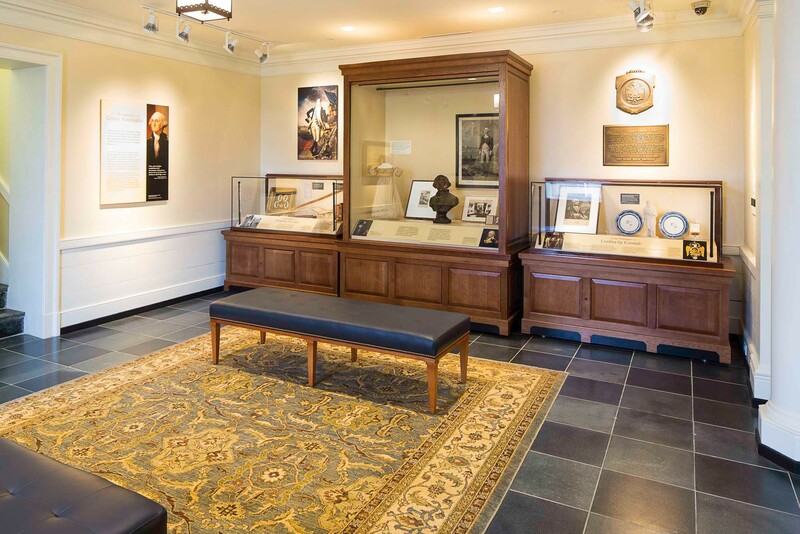 In addition to academic space, G&HA participated in the creation of an exhibition, which tells the story of George Washington’s role as a major early benefactor of the university. 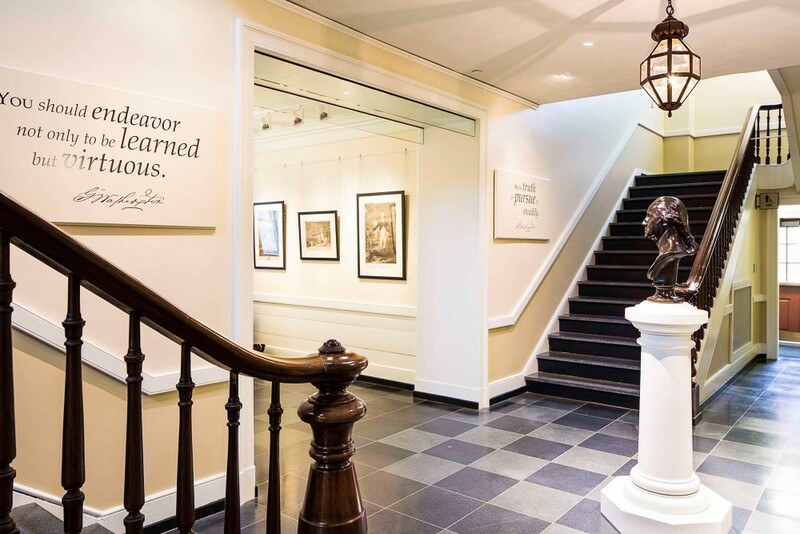 G&HA followed the guidelines from the Secretary of the Interior’s Standards for Rehabilitation to preserve the major character and defining features in each building while upgrading all the mechanical, electrical, plumbing, and life safety systems throughout. 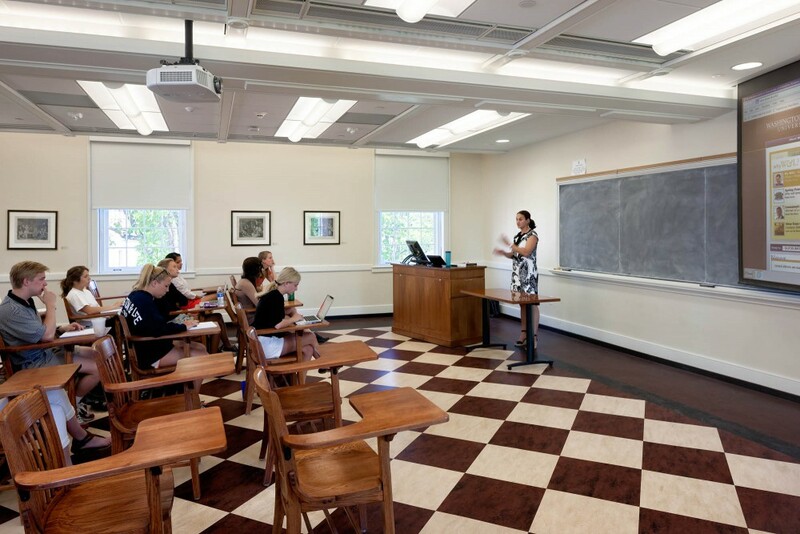 The interior environment was also significantly refreshed, creating a pleasant environment for students, faculty, and staff. 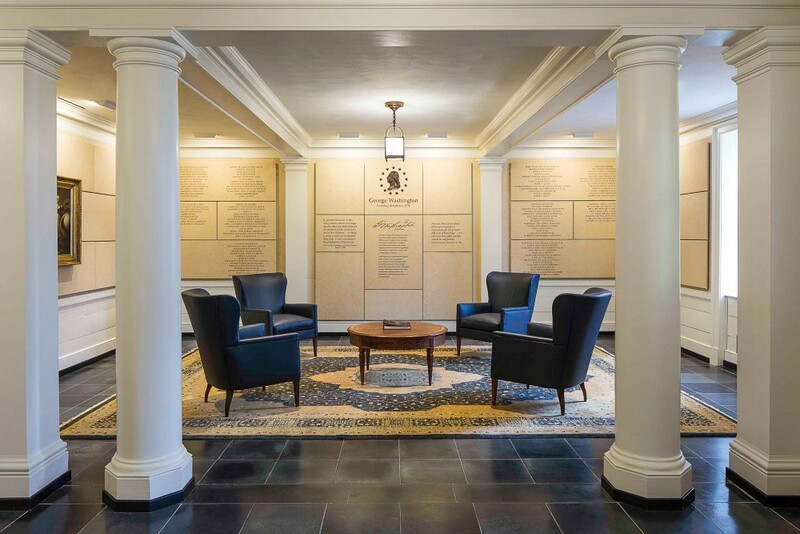 The project received LEED Silver Certification and historic tax credits through the Commonwealth of Virginia’s tax credit program.